The Center for Disease Control and Prevention (CDC) estimates that 1 in 5 children will develop some form of delay or disability prior to Kindergarten. 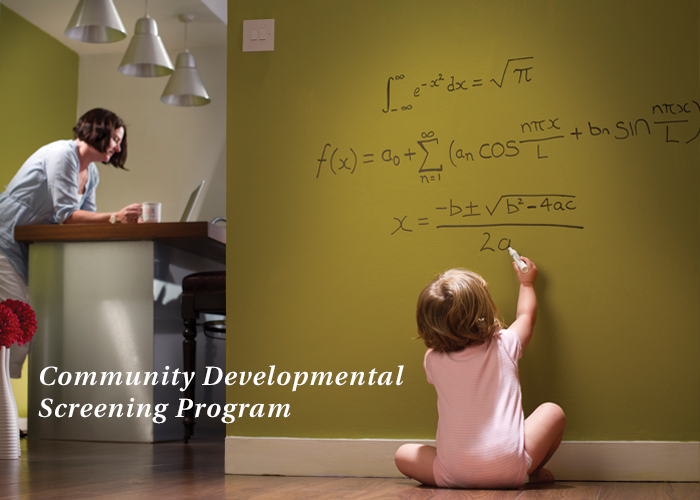 First launched in 1986, ECC’s Community Developmental Screening Program provides a comprehensive approach to early identification and intervention to ensure that young children with developmental concerns receive the help they need in order to enter Kindergarten ready to learn and succeed. This highly collaborative program was deemed a ‘Best Practice’ by the Florida Department of Education (FDOE). The program screens children in the key domains of speech & language, hearing, vision, cognitive capacity, motor skills, and social-emotional development. Through critical community partnerships including faith-based organizations, the program screens approximately 70 children per month. Our Intake Coordinators provide close to 1,500 telephone and online screenings for parents/caregivers that are interested in our program. For children unable to tolerate the stimulation or time factor involved in a site screening, program staff will make home visits to ensure concerns are addressed and a proper screening is performed. For more information, call (813) 837-7706; To schedule a screening, call (813) 837-7723.